We have proudly displayed the work of our children at all places in the School buildings; and have resolved to accord this privilege only to our budding artists! 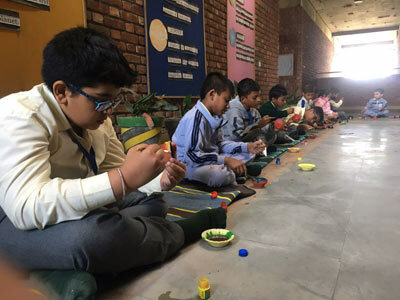 Our Art and Craft School is located close to a terrace and the courtyard as it is useful for spreading out as well as learn from the outdoors. The rooms are well designed with built-in storage for art and craft material.